The Highland Council has offered HM Revenues and Customs in Wick a solution, which they hope will help retain 23 quality jobs in the Caithness town. The Council says that if HMRC are concerned about the costs of their current accommodation, office space can be made available within the Council’s proposed new office block on Market Square, which will replace the existing Council offices. It sees the move as a cost-effective solution for the agency, which will protect jobs, the local economy and the service to customers. The Council has made the offer in its detailed response to a change programme consultation by HMRC, which has put a questionmark against the future of the Wick enquiry centre. Both the Convener of the Council, Sandy Park, and the Civic Leader for Caithness, David Bremner, have already written to HMRC to highlight their concerns about the review and at a meeting of the full council today (Friday), councillors agreed that an all-party delegation should press the case for retaining the jobs at Wick with the UK Government. Councillors were told that the offer of accommodation had been made to ensure that rationalisation of office accommodation is not a key driver to the reduction in operations in Wick. There is circulated Report No. HC-29-08 dated 29 July 2008 by the Chief Executive which confirms that the Change Programme examines the HMRC estate in individual locations across Scotland with the intention that, where possible, staff and work would be relocated as accommodation becomes available, subject to business plans and reasonable daily travel. The Wick HMRC office has 23 staff and operates as an enquiry centre which deals with various areas of compliance for the UK. HMRC have stated that they have “identified no business case to be (in Wick)”. Later correspondence and contact with HMRC has indicated that the Change Programme is also concerned with reducing staff numbers which is of particular significance to Wick as none of the staff are within reasonable daily travel to an alternative office. This report accompanies a draft Highland Council response to the consultation which strongly opposes any reduction in HMRC operations in Wick and contains information on the socio economic impact on the area. Members are asked to agree the content of the draft Highland Council response to the HMRC consultation Change Programme proposals for the Wick Office. Obviously the above is just a starter and there are many other reasons to fight the closure of Wick tax office. MP's, MSP's and local Caithness Councillors will be writing to ask for the arguments to retain the office or expand it to be seriously considered. Members of the public may well want to write putting their views forward. The staff in the office will be making their case via their unions. One suggestion might be to write to one of the above and copy the letter to the others. Her Majesty's Revenue and Customs (HMRC) have now entered an 8 week consultation period that ends on 6th August 2008. The main point for Wick is that the office is earmarked as one that would close under the proposed rationalisation. The proposals suggest there would be saving of up to £1.1million per annum from estate savings across Scotland. The latest drive for efficiency and value for money involves a review of offices and proposed rationalisation of the Her Majesty's Revenue and Customs (HMRC). In Scotland there are 13 office buildings in the review and they currently have around 1400 staff. The aim is to reduce staff to around 1,155 by 2011. Enquiry centres will be retained either in current locations or nearby but other work carried out by local offices will be centralised in larger operational centres creating savings. The proposals include closing 19 offices in Scotland leaving larger presences in only Glasgow, Edinburgh, Aberdeen and Dundee. Smaller presences would be retained in Inverness, Ayr and Glenrothes. Offices such as Wick would retain only sufficient presence for an enquiry office and this might even be part-time based on the number of enquiries currently received. There are currently 24 staff at Wick tax office and this might be reduced to one or two and perhaps become part-time offices. Why Should Wick Tax Office Be Retained? There are 24 good quality jobs at present in Wick tax office. The staff may or may not find alternative employment. There will be 24 less paid jobs in the area if the office closes with perhaps a couple for an enquiry office if they decide to keep a presence. that may or may not be in the same office as at present but it is likely to be elsewhere as the current office would be far too large. Wick tax office is likely to be one of the lower cost offices to run due to low staff turnover (recruitment is expensive). Office space per square foot is generally much cheaper in a rural location than in a city location such as Edinburgh or Glasgow. the savings from closing Wick tax office will be very limited. The socio-economic impact on Caithness will be far greater than in a city or large town location. Jobs are not easily replaced and Wick already has higher unemployment rate than Thurso and the Highland area. Wick has suffered from the withdrawal of other government departments such as Customs and Excise/VAT, Agriculture and Fisheries, BT Radio Station and others. At the same time Caithness and North Sutherland is undergoing special treatment under a Regeneration programme to combat the huge losses of jobs from Dounreay. Highlands and Islands Enterprise was given £12 million to be spent over three years from 2007 to 2010. The work being done to alleviate the run-down of Dounreay will be severely hampered if independently a major government department makes a decision to withdraw jobs fro the area. Wick has been recognised by the governments own report - 'Scotland Index of Multiple Deprivation' as an area requiring special measures to combat poverty. Three areas of Wick are listed in the Index - this includes Pulteneytown where the Pulteneytown People's Project is attempting to combat some of the social problems associated with low incomes. Reducing the number of jobs in an area already acknowledged to be suffering from lower incomes and lack of jobs cannot be seen as anything other than a backward step. The Highlands is comparable to an area the size of Belgium. HMRC have looked at statistics such as unemployment figures where Highland rates 3.6% against a Scotland rate of 5.0%. However this does not take account of the huge disparities between Wick and East Caithness compared to the highly economically active Inverness area. Wick has been the second highest unemployment area of Highland for many years. The changing Caithness population along with its larger neighbour Sutherland has been an area of extreme concern for several years. The problem of reducing population aggravating an already rapidly aging population has been well flagged up by many reports backed up by the General Register Office for Scotland. The impact on local services will be immense as the population is likely to have many more people in their eighties and nineties with fewer people in the working age groups. This will make for a poorer quality of life and make it more difficult to deliver many services. The need to have more jobs not less in order to maintain some balance in the population is imperative. Anything that reduces the working population further will make life more and more difficult affecting life choices and even more likely that more people will move away adding to the problem already massive in the county created by the rundown and decommissioning of Dounreay. GRO small population estimates report that the pensionable population of this area is 23%, higher than the Highland average of 21% and national average of 19%. 44% of customers responding to a Wellbeing Alliance survey were over the age of 65. Very experienced staff who already carry out wide range or work and who have proved to be very adaptable to the changes initiated by HMRC e.g. Self Assessment, Computerisation. New work could be located in Wick tax office. The former Social Security office at the rear of the tax office lies empty after another department rationalised its work out of Wick. That office is wired up for computers and telecommunications and could be restarted easily. Highlands and Islands Enterprise via its Regeneration programme has the funds to offer any new employer or existing employer the assistance to carry out works to bring in new work - a saving to HMRC. Cheaper accommodation than in a city. Good staff retention in Caithness. Cheaper Housing - many staff in Scotland and the UK might love the chance to work in Caithness. The rundown at Dounreay - especially in the next five years will mean there is skilled workforce becoming available. Skilled people working with computers, software, office staff, secretarial and many others would make it easy to recruit keeping costs down and with greater certainty of retention than in may other locations. Up to 100 staff could be located in the former Social Security Building and Wick tax office. There is room for some expansion on ground to the rear and possibly even financial assistance to help with building and relocation. The multiplier affect - well-known to economists works in reverse when money is withdrawn from an area particularly where deprivation factors are also in play. The Dounreay rundown will exacerbate this know phenomena with a rundown of Wick tax office adding to the problem. Wick Tax Office - Does It Have A Future? The tax office in Girnigoe Street, Wick has been a well known feature of the government complex of offices. The Job Centre is located opposite and below the tax office. The building at the rear was once occupied by the Social Security offices but this is now empty following changes at the Department of Work and Pensions. 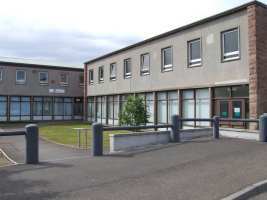 The tax office at Wick now deals with a range of work and is not necessarily connected t the Caithness area. Politicians - MP, MSP's and local Highland councillors are looking seriously at this problem. It affects Inverness in highland also but although the number of staff may be slashed there the office will probably be retained. It is easier to find alternative employment in Inverness than in Wick. If you would like to make suggestions or notify actions you have taken such as letter writing then email details to Councillor Bill Fernie (web master Caithness.org) bill@caithness.org He will then add the details to this page. Councillor Katrina MacNab has already organised one meeting between councillors and John Thurso MP and another one will be set up shortly to see what further actions can be taken. Highland Council ran a very successful piece of research and sent a very detailed report on the potential problems if Pulteneytown Post Office closed. It is hoped that this can be repeated in some way for Wick tax office. NOTE - We would be pleased to hear from others who have taken action with details for publication on this page. Union leaders have reacted with fury after being told that a further 95 Revenue and Customs offices will close, affecting up to 12,300 workers. The Public and Commercial Services (PCS) union said the ability of the department to collect revenues and provide tax advice to the public and local businesses would be undermined by the closures. The union said services were already suffering because of a drive to axe 25,000 jobs and close more than 200 offices, claiming it had led to backlogs of work and poor staff morale. Around 15,000 jobs have already been cut across the UK over the past four years, with 165 offices earmarked for closure or in the process of closing. Highland Council was very concerned about the impact that closure of a Post Office in Wick namely Pulteneytown. A large report covering all of the Highland closures resulted in Pultneytown Post Office being saved from closure. Three jobs were involved in that post office. How much more serious is the potential closure of Wick tax office with currently 24 jobs. 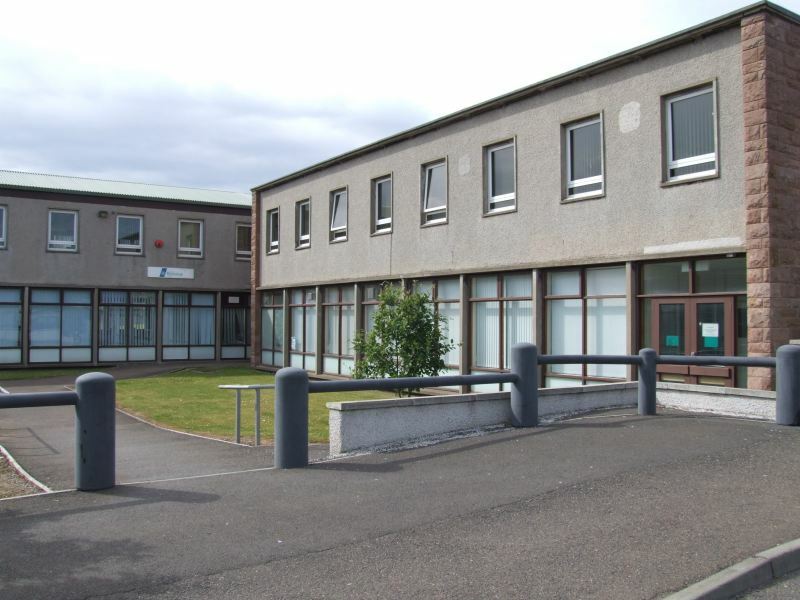 "One of the key regeneration areas within the Highlands in recent years has been the Pulteneytown area in Wick and yet this office is proposed for closure. This community is extremely vulnerable. There have been significant efforts in recent years to regenerate this community and attracting business and money into the community is vital. The closure of the post office is likely to have a significant impact not only upon the population in terms of services but the business community too." "Pulteneytown is classified as an area of considerable multiple deprivation. It falls within the top 10% most deprived communities in Scotland and is a Community Regeneration Area – as identified by the Scottish Government. There have been significant efforts in recent years to regenerate this community and attracting business and money into the community is vital. The closure of the post office is likely to have a significant impact upon the business community within this area." There is considerable unemployment and low income issues within the Pulteneytown area. The long term unemployment rate sits at 4.57% and the ratio of non workers to every worker is 0.98. 25.1% of the working age population are classed as employment deprived in comparison with the Highland average of 10.6% and the Scottish average of 12.9%. Household income within the area is amongst the lowest in Scotland at an average of £26,700 and around 31.9% of the population would be said to be income deprived. From the Wellbeing Alliance survey, 49% of the customers interviewed indicated that they were on an income of less than £10,000 per year – 70% of individuals with disabilities and 67% of over 65s. Those individuals on low incomes were significantly more likely to indicate that they used the post office on a regular basis than individuals on higher incomes. The circumstances of low income and unemployment will inevitably impact upon the population of this community should the post office shut." As indicated already, Pulteneytown is classified as an area of considerable multiple deprivation and falls within the top 10% most deprived communities in Scotland. It is a Community Regeneration Area – as identified by the Scottish Government - which acknowledges the vulnerability of the area and its population. There have been significant efforts in recent years to regenerate this community and attracting business and money into the community is vital."